These pictures of Wayland's Smithy were taken one sunny Good Friday by Sophie Mason, who has kindly let me post them on my blog. Wayland's Smithy is a Neolithic long barrow and chamber tomb site near the Uffington White Horse, at Ashbury in Oxfordshire. 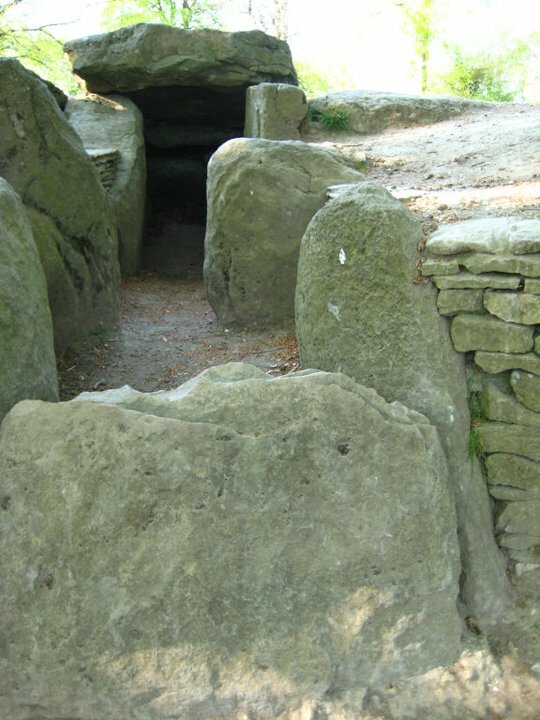 Wayland's Smithy is associated with the Germanic smith-god Wayland or Wolund, although the name was given to the site by the Saxons who settled in the area four thousand years after the long barrow was built. 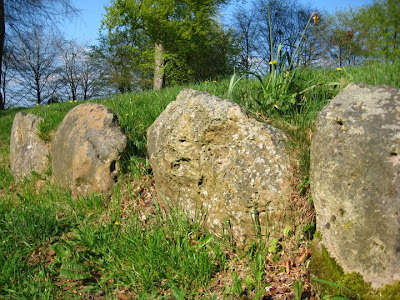 According to legend, a traveller whose horse has lost a shoe can leave the animal and a silver coin on the capstone at Wayland's Smithy. The next morning they will find the horse has been re-shod and the money has gone. Sophie, thanks very much for letting me use your lovely photos. This is another site that I really want to visit for myself.